You'd think that workhouses would always have been unhappy places. When the parishes of the Blything hundred got together in the 1760s to construct a House of Industry for the local poor, there was so much anger that a riot wrecked the place before it could even be finished. 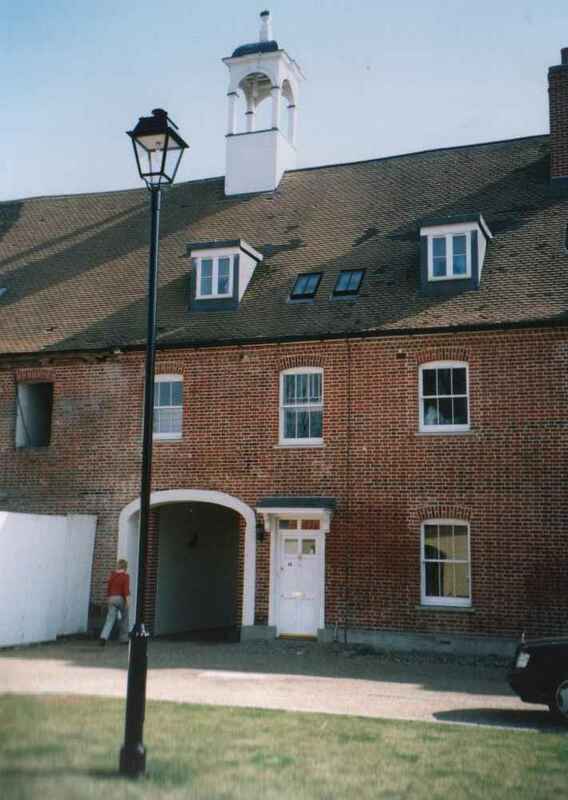 However, it was finally opened on the 13th October 1766, and perhaps the rioters had made their point; workhouses expert Peter Higginbotham observes that at Bulcamp the sexes were not segregated in the workhouse  men and their wives and families were admitted, and their children grew up there until being apprenticed by the Incorporation at the age of 13. After serving their apprenticeship, the sons married and came back with their wives to the workhouse, had children and so repeated the cycle. As at Shipmeadow, it was built at the top of a hill, a fortress for all to see.The architect was Thomas Fulcher; Pevsner says that he was paid fifteen guineas. 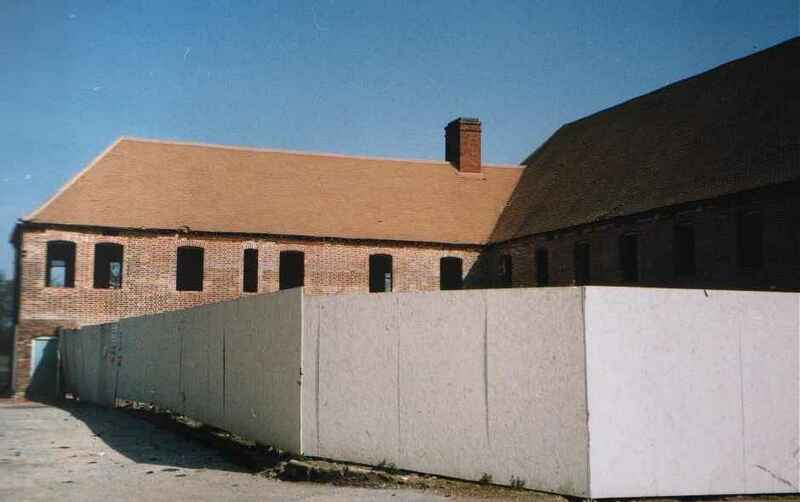 Within a year of opening, the workhouse had more than 350 inmates. It served an area in which the biggest towns were Halesworth, Southwold and Leiston; Bulcamp is roughly in the middle of the three, and about as far from civilisation as it is possible to get. This did mean, however, that the House of Industry had a large farm, which provided work for the inmates. Sheep were kept, barley and vegetables grown. Some of the produce went into the kitchens, the rest was sold. The workhouse was pretty well self-sufficient in the early years of the 19th century. In 1835, the Poor Law Act meant big changes for Bulcamp. In chilling words, White's 1844 Directory says that £1000 was expended in altering the workhouse, so as to admit a better classification of the inmates. The word classification, of course, meant segregation; husbands were to be separated from their wives, children from their parents, the deserving from the undeserving poor. The men would be put to work on a treadmill that ground corn, or made to pick oakum, which shredded their hands. The workhouse was no longer to be a place to which people would come willingly; from now on, it should be a place of hardship, of coarse fare, of degradation and humility wrote the Reverend Millman; it should be administered with strictness, with severity; it should be as repulsive as is consistent with humanity. It was evil done in the name of good. The Victorians, who are blamed for a lot, would slowly bring reforms to bear on this awful place, and by the end of the 19th century it was as much an infirmary as a home for the poor. 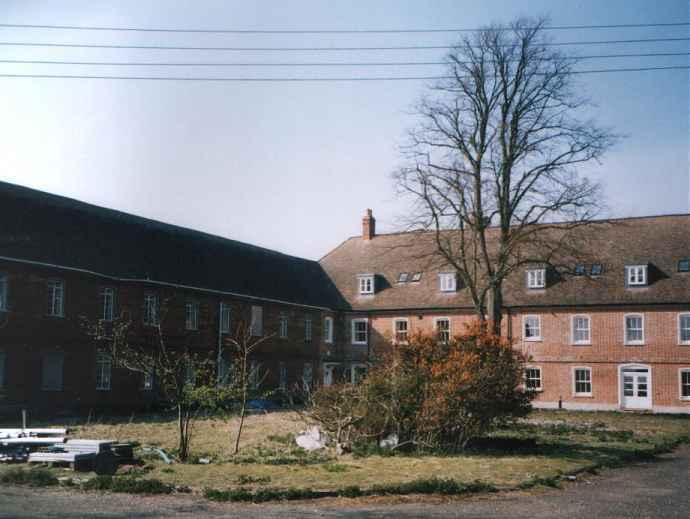 In later years, the workhouse became the Red House, a home for the chronically ill, and then Blything Hospital, which closed in the 1990s. The remarkable thing about Fulcher's 18th century House of Industry is that it survives today in almost its entirety. You head up the original roadway from the Blythburgh to Halesworth road, reaching an avenue of pollarded elms at the top. In front of you is a small archway, a recent construction in a long line of what was once the administrative block, part of the 1830s addition. 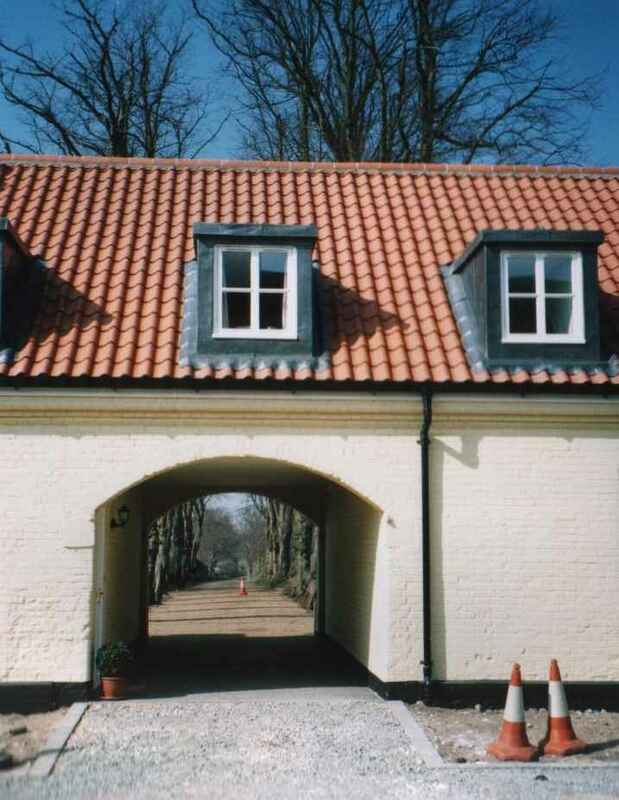 It has now all been converted into luxury cottages. Walk through, and in front of you is the imposing red brick H block of 1766. The H block, too, is being converted, into extraordinarily luxurious three story houses. The space in front contained some of the biggest cars I've ever seen. So far, about a quarter of the H has been completed, and the eastern part of this front range is derelict and screened. If you walk through the larger archway, the main 1766 entrance, there is another screen. Walk around it, and the illusion of luxury instantly falls away. 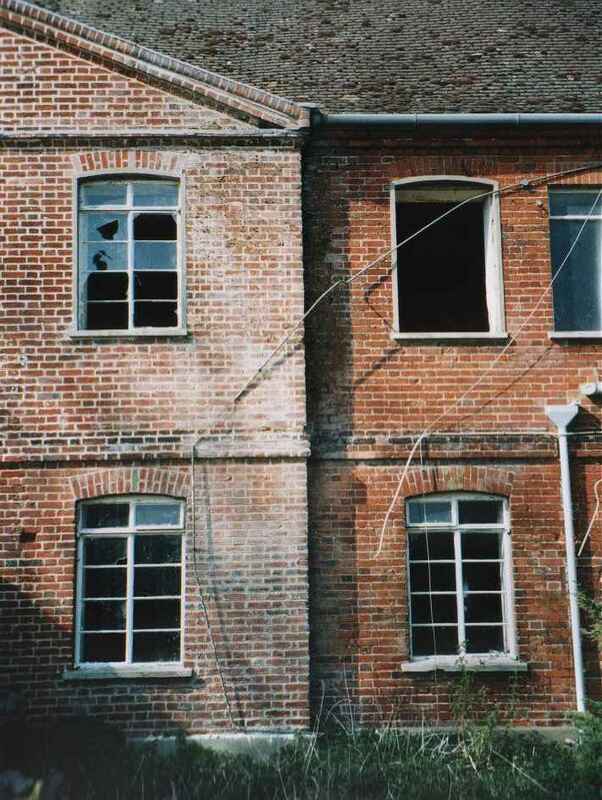 Here, the larger part of the workhouse is entirely abandoned, entirely derelict. You walk through the vast main courtyard - even on a sunny day, it is spooky. 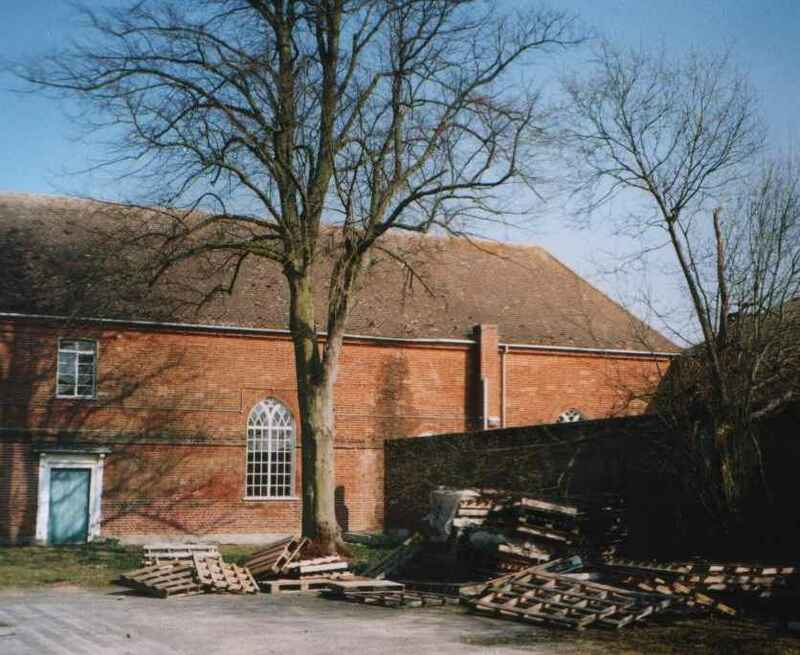 The 1836 workshop block enclosed this side of the H, but much of this has now gone. Now, the view is across the fields and marshes towards Blythburgh church. 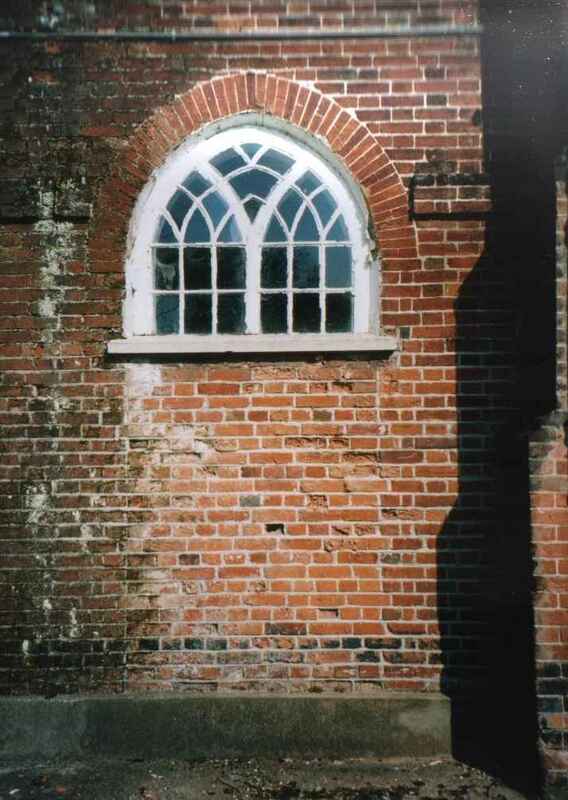 At the end of the south east arm of the H, the windows are different; rather than the utilitarian rectangles found everywhere else, these are large pointed arches with Y casements. This is the chapel. 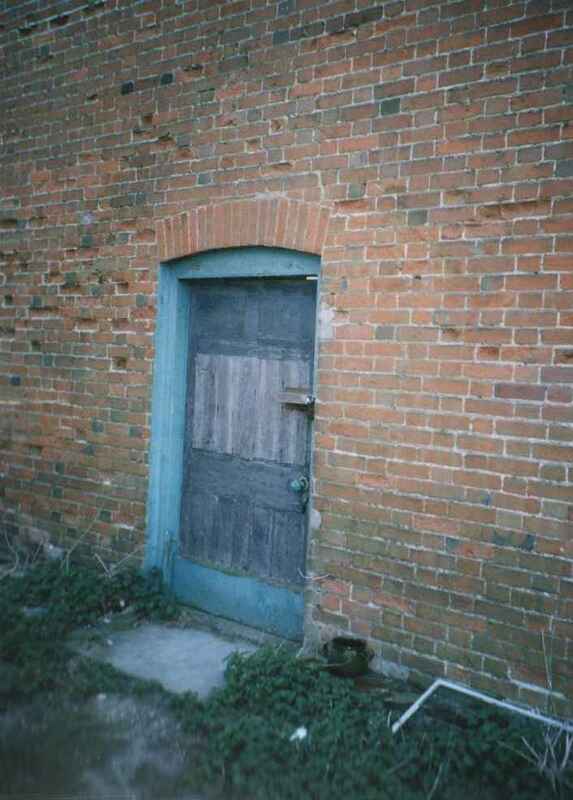 You can no longer go in - it has not been used as a chapel for years. Instead, it is full of junk, the final resting place for the bits and pieces left behind when the local health authority moved out. 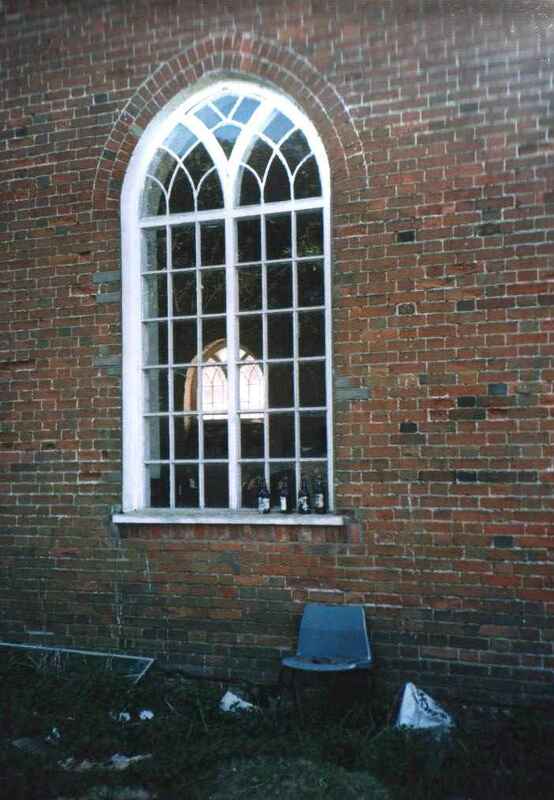 The main entrance to the chapel was bricked up some time ago, and the head of its archway filled with a window. On the far side, a padlocked rectangular door would now be the only access. 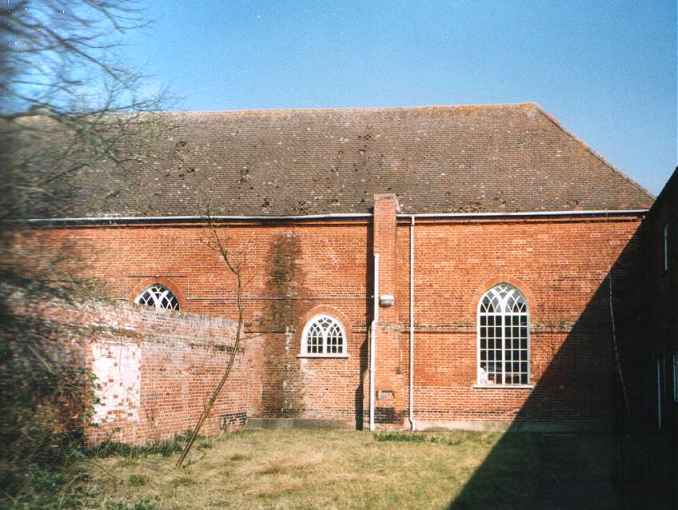 All workhouse chapels were Anglican; inmates from other denominations could be visited by their ministers, but services on the premises were not permitted. At the time of the 1851 census of religious observance, the Chaplain here was Thomas Harrison. He received £50 a year (about £10,000 in today's money) for performing two services a week. He was also perpetual curate of Blythburgh itself, which brought in £45 annually (about £9,000 today) and Walberswick, £50 annually (£10,000 today). 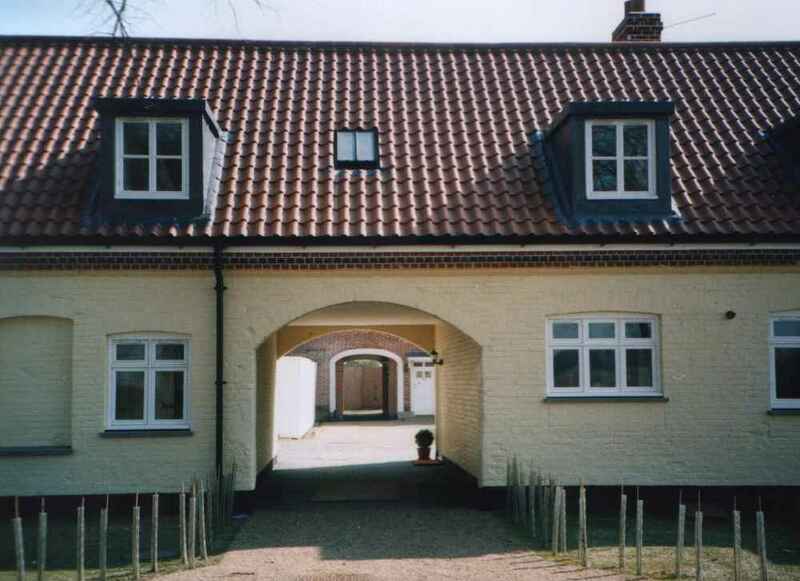 Given that Blythburgh had less than fifty in the congregation on a good day, and Walberswick only slightly more, it might be thought that the hundreds of souls here would have formed the greater part of his work. How fascinating it would be to go back in time and ask him. 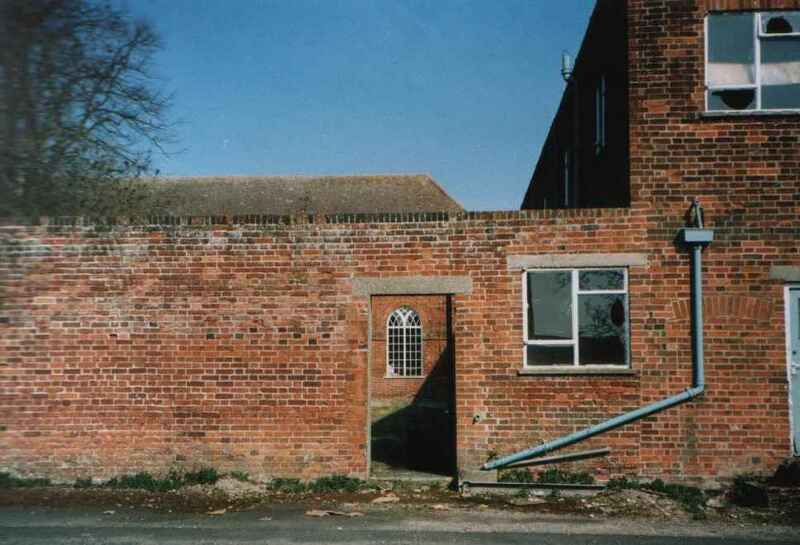 In front of the old entrance, there is a walled courtyard, which may once have been a garden, or a burial ground. Nothing moves. There is no sound; even the birds are silent. All this is planned for conversion into luxury houses and flats. The chapel will, presumably, be a major attraction for the right kind of buyer, its arched windows an attractive feature. 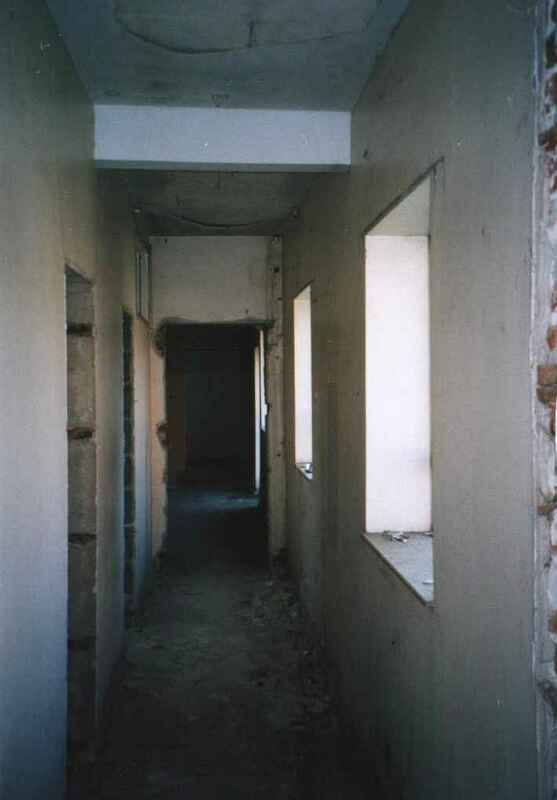 I walked around the derelict east wing, back to the car park. Shot gun cartridges and broken glass crunched underfoot. I passed the screen again, and it was like stepping through into a looking-glass world; ahead of me I could see the shining Jaguars and BMWs. A couple on a front lawn drank Pimms in the sunshine. This place has known such deep unhappiness, such wickedness. At best it is ironic, at worst faintly obscene, that the class who caused it to be built are now in possession as residents. As ever, the Workhouses Website is essential reading for anyone interested in this kind of thing.